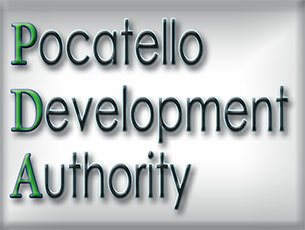 The Pocatello Development Authority was created by the City of Pocatello in 1986 pursuant to resolution 1988-13 in accordance with the Urban Renewal law of 1965 and the local Economic Development Act. The Authority acts as an aim of the Idaho State government, entirely separate and distinct from the City of Pocatello, as provided in Idaho Code Section 50-2006. The purpose of the Pocatello Development Authority is to undertake urban renewal projects in areas designated by the City of Pocatello to be deteriorating and to undertake this rehabilitating, conservation, redevelopment, or a combination thereof of such area, or areas, in the Interest of the public health safety, morals or welfare of the residents of the City of Pocatello. 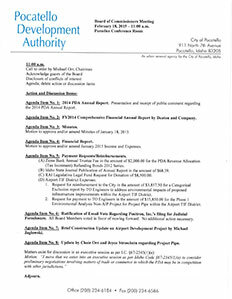 The Authority shall afford maximum opportunity consistent with the needs of the City of Pocatello as a whole, to the rehabilitation or redevelopment of the urban renewal areas by private enterprise.